Have you ever sat under the stars, gazed at the night sky and wished you could capture it? Seen photos of the milky way, looked down at your camera and wondered how on earth they did it? 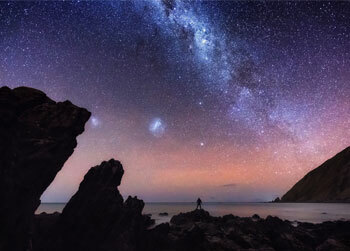 If that sounds like you, then come along to the Central Library and hear Wellington based astrophotographer Mark Gee talk about his photographic journey and share his story of how he came to be the self-taught award winning photographer he is today! Check out the hires image – link in my bio!  I love exploring new locations, and was really happy when I stumbled on this place on the west coast of Wellington, New Zealand. The photo is a 54 image panorama shot with the new Canon 6d Mk II. It’s a perfect time of year in the southern hemisphere to capture the Milky Way lower in the sky to the west, so this location was perfect for it! A post shared by Mark Gee (@theartofnight) on Aug 29, 2017 at 2:28pm PDT Swing by the library after work on Wednesday April 4th at 6pm to meet the man himself and hear about the Art of Night, and learn how you can get started, how to use social media as a marketing tool, and how you can continue to develop as a photographer. Mark will be talking for about 30 minutes so there will be plenty of question time as well! 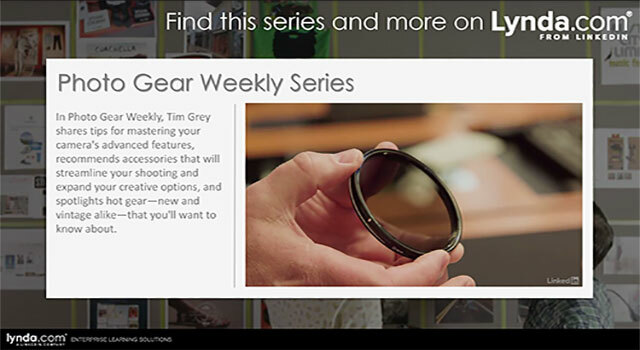 Looking for more resources for your own photography? 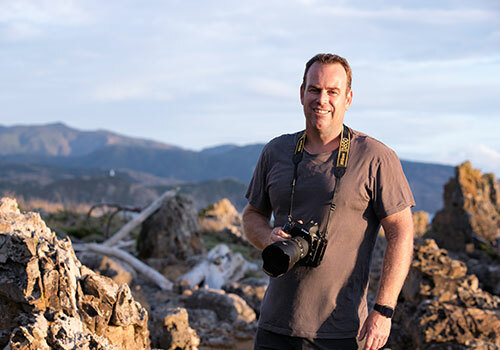 Check out the free online course available through Lynda.com, with courses on everything from Photography 101, to Exploring Composition, How to Create a Portfolio, using Photoshop, and even Aerial Photography with Drones and a how to on Landscape Photography: Iceland! All you need to login in your Library card number and your last name. This gorgeous collection of images of Mars were sent by the probes Mars Global Surveyor, Mars Pathfinder, and Mars Express, as well as Martian rovers. 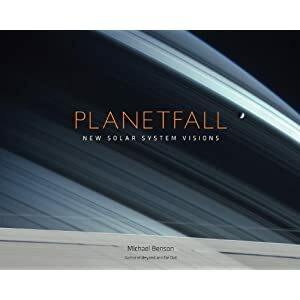 The result is an absolute gem, for photography, astronomy and geology enthusiasts alike. Random images taken by robots, creating incredible art. Beauty in the factual, curated by great names of photography, compiled into a lavishly produced monograph sure to captivate. Site specific / Olivo Barbieri. 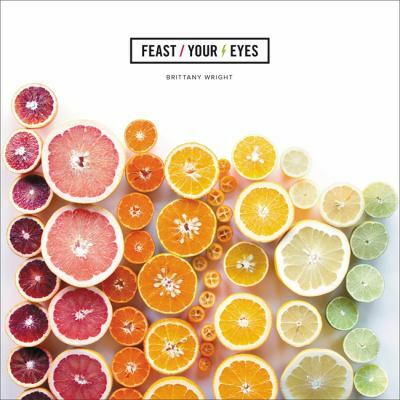 “Edited by Kathryn Ryan, the publication’s director of photography, this book features more than 400 hundred images, organised into five sections: Portraits, Documentary, Photo-Illustration, Style and Projects. The photographs represent a gamu of modes, from hard-hitting war documents to conceptual work by contemporary artists: from elaborately constructed tableaux to the most simple portraits, lit by a single bulb. The volume’s final chapter presents a visual index of more than 250 Magazine tearsheets, where the photographsncan be considered in their original published context. Hollywood in Kodachrome : 1940-1949 / David Wills and Stephen Schmidt. Photography has the ability to take many forms and is often mistaken for the subject it depicts. Le Corbusier knew that very well and made the most of what at the beginning of his career was a new medium. Architecture, being such a visually striking field, was destined to have an strong relashionship with the medium. Another such match made in heaven is that of fashion and photography. The latest anthology on fashion photography featured this month is a testament to this marvellous interaction, fashion designers almost creating to court the camera and the camera in turn, revelling in the curves, folds, textures and shapes at play. We review works of master photographers such as Helmut Newton and Bill Brandt but also the first monograph dedicated to the young Ryan McGinley, a new comer set to become one of the greats of his generation. Two books revealing some of the prowesses made possible with todays’ technologies completes this month’s “picture”. “In 2002, two years after Ryan McGinley, then a student, staged his first exhibition of photographs in a SoHo gallery, he created inexpensive handmade books of a sampling of his work titled The Kids Are Alright. Those books eventually found their way to Sylvia Wolf, then curator of photography at the Whitney Museum of American Art in New York, who gave him a solo show a year later, making him the youngest artist to have a one-person exhibition at the museum. “This compact guide to infrared photography shows the beauty of infrared imagery, but also teaches how to capture these images with your digital camera. The book provides the basic theoretical background, information on cameras, filters and equipment, and lots of guidance on how to do infrared photography.” “This beautifully designed and illustrated book is the perfect companion for the aspiring photographer wanting to explore new photographic territories.” Book jacket. This month is particularly biased on history, from personal histories of less known observers’ world views, to histories of some of the political royalties of last century. This review wraps up with two self-proclaimed time-saving guides that will keep you au-fait with the latest technologies available to today’s amateur photographer. After spending her life in the shadows of anonymity, her body of work reaching over one hundred thousand pictures, remaining in locked cabinets, garages and basements, Vivian was luckily discovered after her death and finally her photographs were brought to the light they deserve. As one of her former employers remembers, although she was marvellous with the children, “she wasn’t interested in being a nanny at all. She really wanted to be out on the street. She wanted to be taking pictures”. She worked to support her art. This book combines a powerful selection of her work, in a compact square format that reflects her choice of medium format cameras, mainly a Rolleiflex, with compelling stories from those who met her, acting as a posthumous memoir of this discreet human being. Mary Ellen Mark, herself revered for the humanity of her documentary photography says of Vivian Maier ”She was a humanist in the best tradition. She showed real life. And that’s so difficult to do.” A resounding accolade no less. In honor of theQueen’s Diamond Jubilee—60 years on the throne—TASCHEN celebrates the extraordinary private and public life of Her Majesty. Born in 1926, married in 1947, crowned as Queen in 1953,for over six decades she has steadfastly and loyally carried out her duty on behalf of her country, never speaking out of turn or putting a foot wrong. The book tells her remarkable royal story through hundreds of stunning photographs, many previously unseen and sourced from multiple archives in the United Kingdom (including the Royal Collection), Continental Europe, and the United States.These images have it all: history, politics, glamour, fashion, culture, travel, and, of course, hats. As the Queen, she has endlessly traveled the globe, been introduced to every leading icon of the 20th century, including the Beatles, Marilyn Monroe, and JFK, attended thousands of receptions and state functions; while concurrently being a mother to four children under the constant glare of public scrutiny.These photographs cover every aspect of her reign: the early years, coming of age during World War II, becoming a wife, Queen and mother, the Royal Tours, the palaces, the crowds, the weddings, the Royal Family, the Silver Jubilee in 1977, and the later years. God save her indeed! “Twilight of the Romanovs opens a door into the world of pre-revolutionary Russia using original photographs taken during the last decades of Romanov rule. They include remarkable colour images created using an early three-colour-plate technique that brings the remote past to life. Our companions on this journey include the Scottish photographer William Carrick, Americans George Kennan and Murray Howe, the German-Russian Carl Bulla, Sergey Produkin-Gorsky, and the writers Leonid Andreyev and Anton Chekhov, together with many anonymous others. From this month title, one could wonder whether this post is really about photography, or whether I am taking a cynical view of the role of photography. The truth is, photography as this month’s post will demonstrate, allows us to delve in the wonders of the universe around us, thanks to the technological feats of space travel. It also gives the most creative amongst us, the license to create a world of fantasy and extravagance, by arranging, composing, altering, juxtaposing, hiding and revealing, collaging and using any other clever means to create the desired image. The issue of photography and truth has long been debated. Even the “straightest” photograph is in some way a manipulation of reality. So once we are at peace with this fact, we can explore the world of possibilities at our disposal as some of this month’s books illustrate brilliantly. For a comprehensive review of the book, you may want to read Rebecca J. Rosen’s article in The Atlantic, complete with photographs and a link to Michael Benson’s current exhibition at the Hasted Kraeutler gallery in New York. And on the subject, if you have missed the beautiful moonrise over Wellington on 29 January, here is an amazing video of the celestial display. “It is a long-held truism that ‘the camera does not lie’. Yet, as Mia Fineman argues in this illuminating volume, that statement contains its own share of untruth. While modern technological innovations, such as Adobe’s Photoshop software, have accustomed viewers to more obvious levels of image manipulation, the practice of “doctoring” photographs has in fact existed since the medium was invented. In “Faking It”, Fineman demonstrates that today’s digitally manipulated images are part of a continuum that begins with the earliest years of photography, encompassing methods as diverse as overpainting, multiple exposure, negative retouching, combination printing, and photomontage. Among the book’s revelations are previously unknown and never before published images that document the acts of manipulation behind two canonical works of modern photography: one blatantly fantastical (Yves Klein’s “Leap into the Void” of 1960); the other a purportedly unadulterated record of a real place in time (Paul Strand’s “City Hall Park” of 1915). 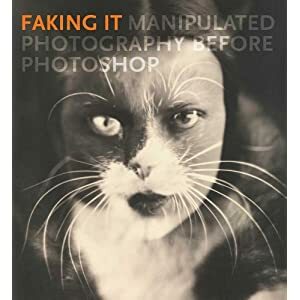 Featuring 160 captivating pictures created between the 1840s and 1990s in the service of art, politics, news, entertainment, and commerce, “Faking It” provides an essential counterhistory of photography as an inspired blend of fabricated truths and artful falsehoods.”–Publisher’s website. For a sneek peek of the photographs collected in this mammoth of a book, visit the Vanity Fair’s slideshow dedicated to this new publication. “Famed fashion photographer Walker shares a new collection assembled from the world’s most famous magazines (including Vogue, Vanity Fair, W, the New Yorker, a follow-up to 2008’s Pictures, which you can also find in our collection timed to coincide with a major exhibition at Somerset House in London, that will be held until end of January 2014 (for those who might be heading that way in the coming 12 months). Aided by an introduction by Robin Muir, foreword by Kate Bush, and Walker’s own afterword, these extravagantly choreographed, fantastical images never fail to deliver a jolt. They are usually disconcerting, and often have a downright wonderful sense of humor and play, as in a human windup doll. A holdout for shooting on film, Walker has an uncanny gift for stretching a moment and playing with time. This strength perhaps explains the cheeky dignity he lends his elderly subjects, whose portraits temper Walker’s usual archness with a welcome humanity. His images are stunningly vivid, sometimes over-bright in the manner of Avedon, whom Walker assisted. Many of his models wear facial expressions so flat and affect-free as to appear proxies for mannequins, suspended between worlds and struck hollow in the process. Like Avedon, Walker knows how to strip the human face of warmth to electrifying effect, and that tension between these macabre, morose faces and the comic elements in Walker’s visions gives the work its dynamism. This unresolved tension, always at the heart of Walker’s work, makes it perpetually thrilling. 170 color illus. (Adapted from Publishers weekly). Photographers / Michael Pritchard and Tony Nourmand. What better time than the new year to reflect back on the journey that photography as a medium has achieved in the last century, from experimental, messy beginnings to the sleek and high tech styles of today’s digital age. A choice of very interesting and gorgeous books will take you on this amazing journey, looking at the early techniques, seminal photographers, myriad genres and styles from black and white documentary to glossy colour fashion photography. We will finish with a couple of titles that will help you improve your own photography from exposure to digital storage. May these inspire, illuminate and guide you at the start of a creative new year. 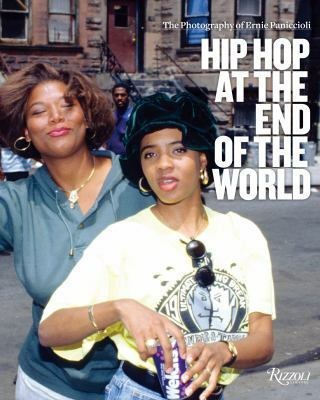 An expansive publication for larger than life photographers and their arresting photographs. The images jump at the viewer who cannot stay unmoved, whether by the beauty, horror, significance or sheer scale of the print. This book assembles a wide range of styles, subject matters and photographic periods. A mammoth of a book that is sure to make a similarly grand impression. Digital photography has a way to induce “image creation overload”. The average amateur photographer can shoot between 5,000 and 50,000 images per year, a far cry from the days of analog photography when slides, negatives and prints could fit in shoe boxes under the bed. Another characteristic of the digital age is that our images are stored in computers and hard drives. We generally view them on screen, not in print. To add to this slippery situation, original images are often copied multiple times to suit different purposes such as uploading, posting, editing etc. No wonder most photography enthusiasts will find themselves tearing their hair out, trying to find a better way to manage an increasingly unruly and monstruous collection. This book is just what is needed to get on the way to a better, simpler, more efficient system to store, retrieve and use photographs, making sure that managing images doesn’t take over the creative side of photography. Another book that should be a favourite during this season of reunions with friends and family. Tamara Lackey, a professional lifestyle photographer, featured in numerous publications such as O Magazine, Men’s Journal and Parenting Magazine and showcased on TV shows such as The Martha Stewart Show, CNN’s Anderson and The Today Show shares her knowledge, techniques and wisdom to inspire and guide us in making successful family portraits indoors or outdoors thanks to a host of new ideas, contemporary images and clear texts. For amateur and professional photographers alike. Rewarding when done correctly, photography can also be frustrating when you don’t achieve the results you envisioned. Whether it is an issue of lighting, focus, white balance or photographer positioning, most mistakes can be easily identified, with a bit of help. The Weekend Photographer is a comprehensive guidebook to diagnose your problems and improve your overall technique, all within the time constraints of one weekend. Mainly focused on landscapes, whether urban or natural, this book will satisfy those who prefer to venture out by themselves and leave the family portraits to others.